The venerable mobile bidding space hasn’t changed much in the last year or so. People who tend to purchase items from eBay on a smartphone are the ones who have four auctions on the go and need to-the-second notifications for when they’ve been outbid. 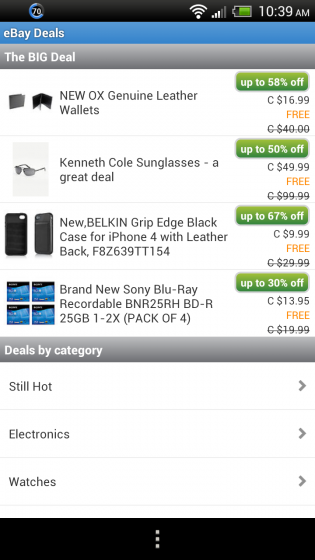 The good news is that today, Canadian sellers can now list and relist items on eBay from their Android phones. This was previously only available in certain countries. In addition to that fundamental improvement, Best Offers have been added, which allow you to set a “Buy it Now” price that is under the amount the seller is asking for. If the seller agrees to the amount, you win the bid. With the added notification ability, the app will ping you if and when you win based on a Best Offer bid. 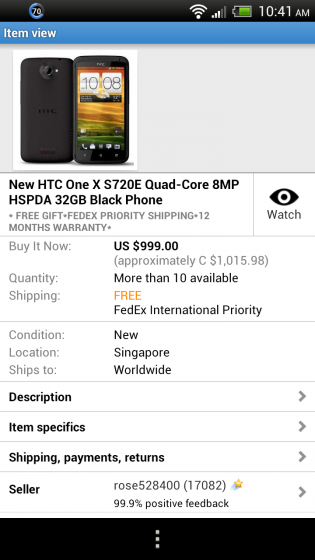 Check out eBay for Android on Google Play.